Andrew T. Wolfe, Esq. | Law Firm of Hartman & Winnicki P.C. | Law Offices in New Jersey & New York. Estate planning; asset protection planning; charitable planning; elder law; probate matters and estate/trust administration; gift, estate and GST taxes; income taxation of estates and trusts; business succession planning; tax controversy matters; serves as Executor and/or Trustee for his clients’ estates and trusts. Prior to joining Hartman & Winnicki, Andy was Director of Estate Planning at JH Cohn, LLP, one of the nation’s largest regional accounting and consulting firms. 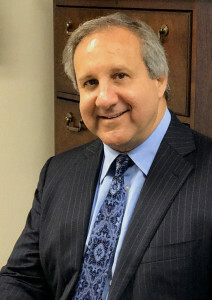 He has published numerous articles on estate and trust planning issues, and frequently lectures on tax, trust and estate planning topics to various professional and civic organizations.